The checkout complexity is one of the key reasons accountable for shopping cart abandonment. So taking the mobile payment seriously, you not only succeed in rewarding the end-users but also in brightening up your success prospects. With mobile payment quickly becoming a strong substitute for plastic money and wallet, it’s hard to resist it. Here are top 7 benefits of adopting mobile payment mode. Consumers want convenience, and mobile payment processing takes it a step further. You might have come across online retailers offering digital goods like online games or ringtones. They often provide freedom to pay through your mobile carrier. The amount of a purchase is debited from the prepaid account balance. In the case of post-paid users, the amount gets added to their due bill. There are other instances where shoppers can make payment using third-party mobile payment apps including Google Wallet, PayPal, Intuit GoPayment and VeriFone SAIL among others. So the challenges of recalling Internet banking password, or credit or debit card details have gone the Dodo way. This is a breakthrough that will really add to your business bottom line. With mobile payment processing, you can bypass the credit card fees levied by banks, issuing authorities or other stakeholders involved in the transaction. So, on the one hand, it adds to the convenience of your customers, while on the other, enables you to save big on recurring transaction fees. By saying so, it doesn’t mean that mobile payment service providers don’t take any service fees. Indeed, they do take as money is a lifeline, however, they charge comparatively lesser than what credit card companies do. So don’t mind spending the extra bucks required to get the mobile payment app integrated with your POS or digital store. Need experienced developers to make it happen? Fill out the form. 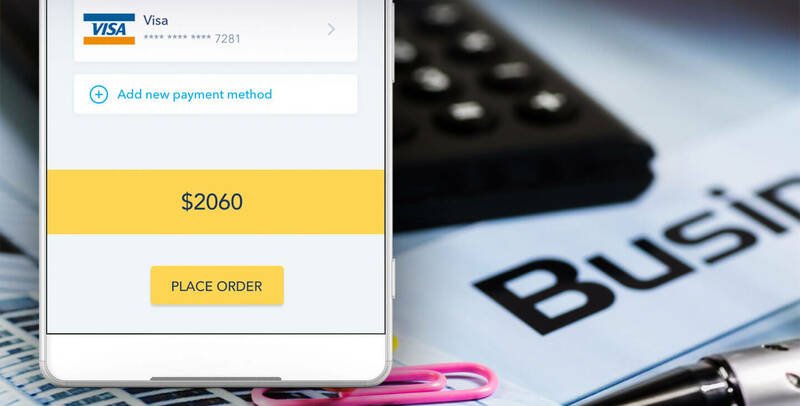 With mobile payment processing app or service fully integrated with the accounting software in use, it becomes easier to keep a record of sales. Moreover, you can track how the sales vary from one point of time to another. So by adopting mobile payment, you are also contributing to the Go Green initiative to save the environment. If you are going to have your own mobile payment wallet built by some mobile app development company, make it a point to keep multiple payment options as per the preference of your target audience. If you are planning to get a third-party mobile payment app or service integrated with your existing digital store, make sure you hire a mobile app development company with a proven track record. Point-to-point encryption and tokenization offered by mobile payment apps make payment processing absolutely immune against Internet vulnerabilities. Moreover, as users don’t need to enter credit or debit card details repeatedly, their privacy remains intact, no matter where they are. In case, you don’t want the data of your shoppers to go with any third-party app, you can reach out to us. We have the competency to build native or cross-platform payment app as per PCI standards. Business is all about building trust. This is the seed of a sustainable growth that every entrepreneur wants to sow. Improving customer experience and making customers have a sense of security while they shop and make payments, helps in nurturing the trust. Taking it forward, you can make the app work with a linked printer so that shoppers can also get a receipt for their payment. The steps may sound insignificant or trivial apparently, but in the long run, they pay you off as you go on creating a base of loyal customers. The digital payment mode not just eases the process, but also helps in collecting business intelligence, provided your app is equipped with the right mobile analytics tool. You can get a holistic view of the user’s journey from adding a product to the cart to checkout. So in this way, you can decode the interests and preferences of your customers to boost upsell and cross-selling endeavor, besides making your service more relevant and useful. Integrating loyalty and incentive programs with your mobile payment applications you can reward and delight your customers. Linking payments to a certain number of points, and then offering them the flexibility to redeem those, you can encourage them to shop more and stay tuned to your brands in months and years to come.